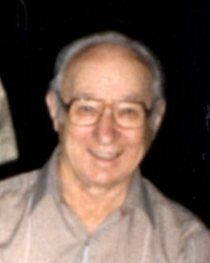 OSWEGO, NY – Thomas S. Plata, 95, a former resident of Southwest Eighth Street in Oswego, passed away Monday August 11, 2014, at St. Luke Health Services, surrounded by his loving family. Tom was born in Oswego, the son of the late Stanislaw and Sofia (Boduch) Plata. He was a veteran of World War II, serving in the US Army. Prior to his retirement, he was employed as a painter for SUNY-Oswego. He was the husband of the late Nancy E. (Losurdo) Plata, who died in 2004. Tom was a former baseball player and had been a member of the Polish American Club. He enjoyed gardening, golf, and playing the harmonica. He is survived by his daughter, Mary Ann (John) Jackson of Oswego; a grandson, Thomas John (Jessica) Jackson of Seneca Falls; a great-grandson, Anthony Thomas Jackson of Seneca Falls; and several nieces and nephews. He was predeceased by two sisters, Della Cavellier and Julia Casciere; and a brother, Mitchell Plata. Funeral services will be held at 10:30 a.m. Thursday, in St. Stephen’s Church. Calling hours will be held from 4 to 7 p.m. Wednesday at the Dain-Cullinan Funeral Home, 112 E. Second St.
Memorial contributions can be made to the John Foster Burden Fund, St. Luke Health Services, 299 East River Road, Oswego, NY 13126.